Hedge fund firm Blue River Asset Management managed to avoid the fates of several other prominent hedge funds (as in, total collapse) by raising $100 million in new capital from existing and new investors, according to the Wall Street Journal. Blue River was seemingly going to suffer the same fate as other high-profile funds that had collapsed over the last few weeks. They were betting that long-dated municipal bonds would rise in value. As the market for these bonds weakened, the Blue River muni fund was forced to sell billions of dollars worth of municipal bonds due to increased borrowing costs, which was the result of concerns about U.S. bond insurers. 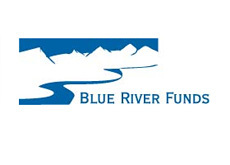 The new cash will allow Blue River to buy back some of the assets that they sold late last week. The municipal bond market managed to flatten out a bit on Monday, likely helped by the fact that there was less forced sell of bonds due to the cash injection at Blue River. Broker dealers have increased their margin requirements for hedge funds, which has resulted in a situation where muni funds are being forced to liquidate in a market that is already very weak. This will result in many hedge funds taking a beating, or in the case of Peloton, actually closing down. This is why Blue River is putting their newfound capital right back into the positions that they had before - because they feel that these positions were sold at bargain basement prices due to the forced liquidations. Most everyone agrees that there is in tremendous value for an investor in the municipal bond market. The big question becomes - are there more forced liquidations around the corner that will further weaken the muni bond market, or are we near the bottom?